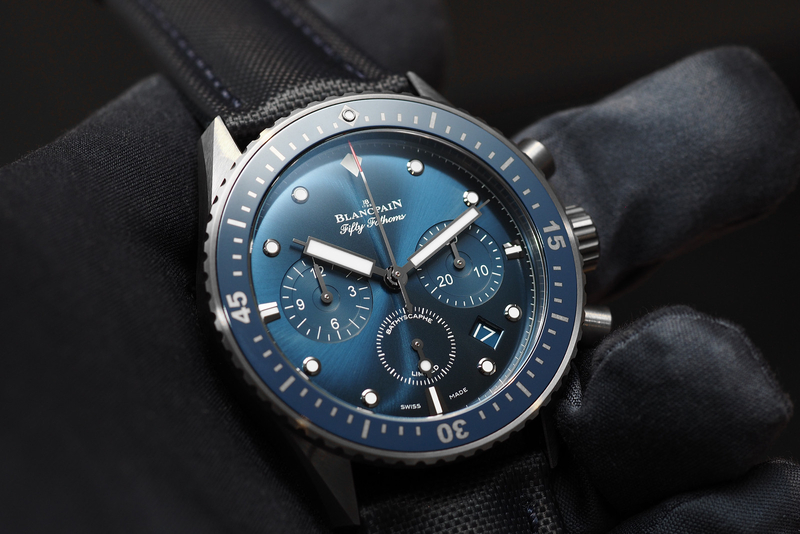 At Baselworld, last week, we got a hands-on look at the limited edition Bathyscaphe Chronograph Flyback Ocean Commitment, which we originally featured HERE. As we mentioned before, a portion of the sales from each watch going to support oceanic environmental causes. Also, each Ocean Commitment Bathyscaphe Chronograph Flyback will be individually numbered. In addition, each purchaser of one of these limited edition timepieces will receive a copy of Blancpain’s collectible volume entitled Fifty Fathoms The Dive and Watch History 1953-2013. The copy received by each purchaser will be hand numbered to correspond to the serial number of his watch. The case is crafted in grey satin-brushed ceramic, measuring 43.6 mm in diameter. The crown and pushers are ceramic as well. The blue sunburst finish dial features applied, lume-filled Liquidmetal indexes, combined with large luminous treated rectangle shaped hour and minute hands. This makes it easy to read the time in any lighting condition. The unidirectional rotating dive bezel is made of matte grey ceramic with a polished blue ceramic insert, dive scale and a single lume-filled Liquidmetal marker at 12 o’clock. 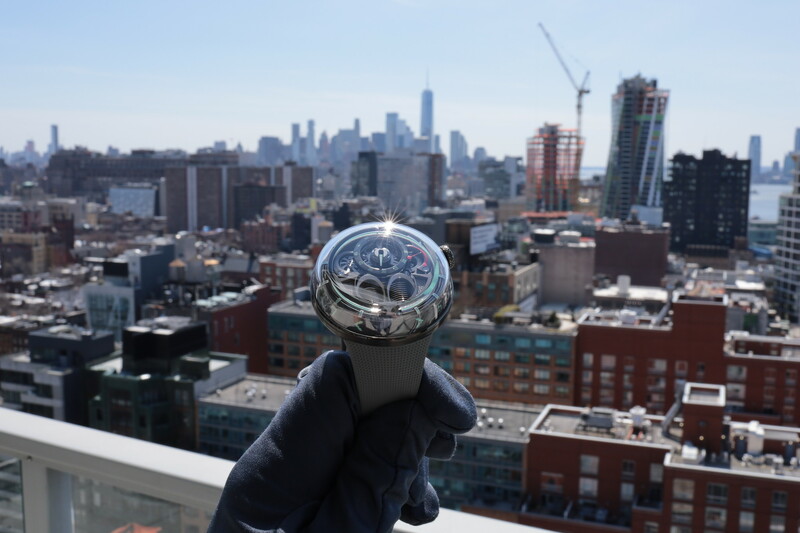 Notably, the Bathyscape is powered by self-winding in-house caliber F385, which beats at the high frequency of 5Hz, and offers 1/10th of a second chronograph precision. It is a flyback chronograph, so you can time successive events with by pushing a single button, no need to stop-reset-start the traditional way: with two buttons. A vertical clutch ensures smooth actuation, particularly in regards to the chronograph seconds hand when it starts. The balance spring is silicon and the balance wheel is free sprung with gold screws for fine regulation. Power reserve is 50-hours. The crown can be locked, however, the pushers are pump style (and cannot be locked). 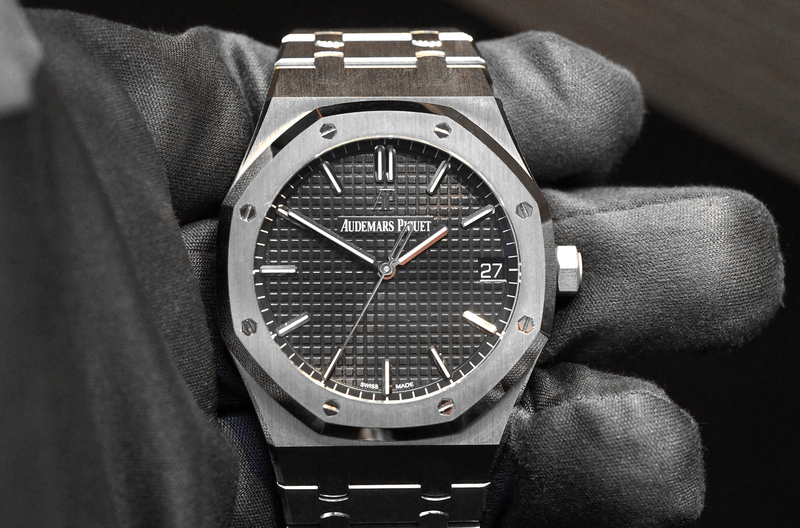 Despite having non-locking pushers, the watch is rated water-resistant down to an impressive 300 meters. Moreover, thanks to sealed pushers, the chronograph can be activated underwater with no risk of water entering the case. 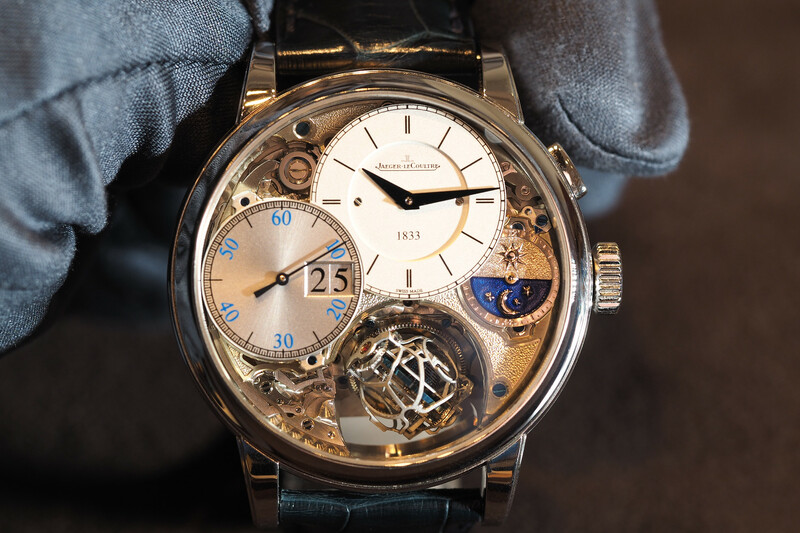 I personally prefer a watch that is more conservatively sized, although at 43.6 mm in diameter it is hardly large compared to some of the watches companies are making nowadays. Interestingly, the ceramic case looks metallic, specifically like titanium, which sets it apart from most of the ceramic cases on the market. Not to mention, it’s lightweight and scratch-resistant. The movement decoration is good, and instead of traditional haute horology finish, it has a modern, industrialized finish. Technically speaking, the 5Hz movement with column-wheel, vertical clutch, and flyback are superb.